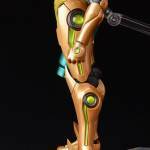 The Figma Blog has been updated with new photos of the upcoming Figma Metroid Prime 3: Corruption – Samus Aran Power Suit Figure. We got a good look at the unpainted prototype during Toy Fair 2017, and we have photos of the fully painted figure. 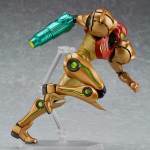 The fully articulated figure has a great looking metallic paint finish with included clear parts. 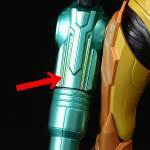 The arm cannon has an interchangeable firing mode piece. 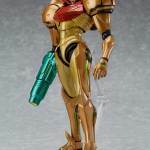 Also included are interchangeable hands, and a Morph Ball version of Samus, which allows her to traverse through small openings in the game series. 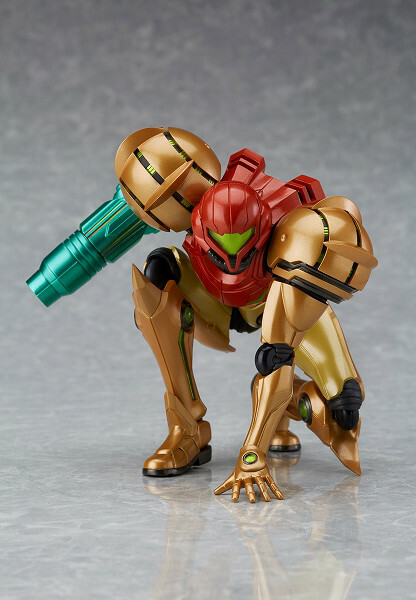 The Metroid Prime 3: Corruption – Samus Aran Figma is due for release in October. 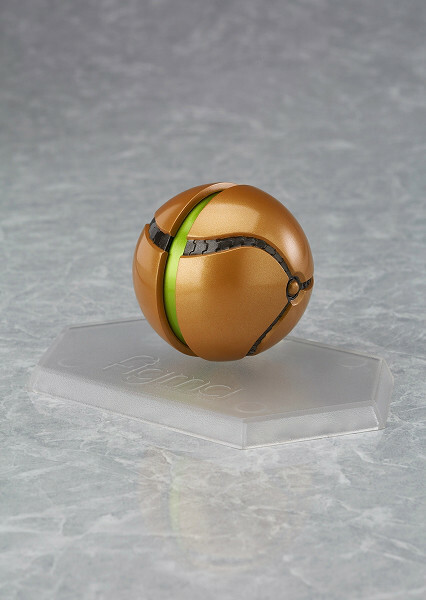 The figure is priced at 7,222 Yen (about $66 USD). You can see the new photos by reading on. 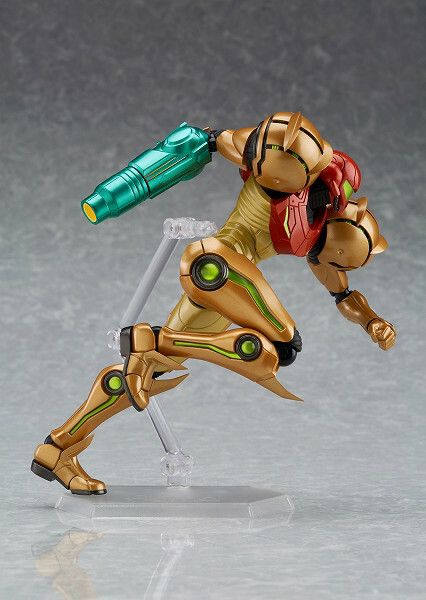 My god, would you look at that superhero landing pose. So natural. This figure is so perfect. I think I need to pick it up. Good god that thing is amazing. Already superior to the Other M one. 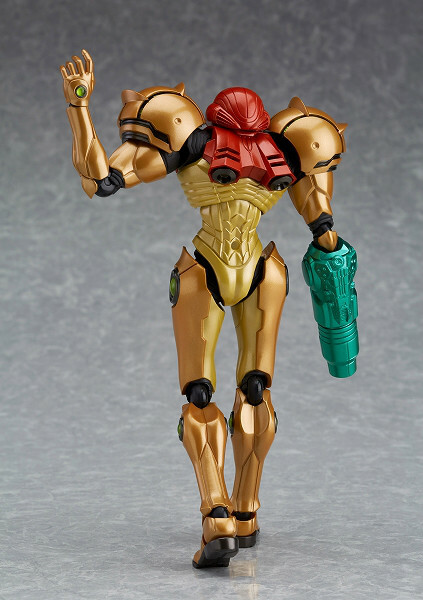 I just hope she comes with some missile effects and that they are interchangeable with the other one. 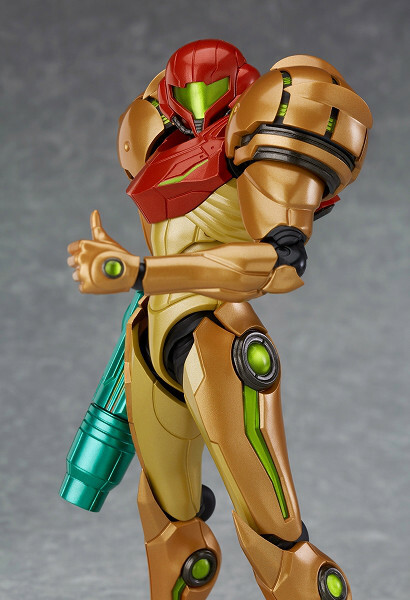 As someone who considers the Prime trilogy to be the best Metroid games, this looks awesome. These pictures seem to be it. 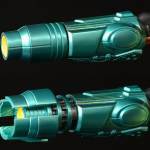 These are the accessories we're going to get. I believe the thumb-up hand is also GSC online shop exclusive. No blast effects, no rockets, etc. 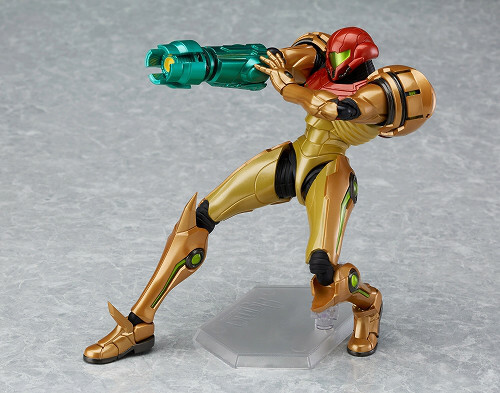 I already have the Other M Samus, and while that one is great, the Prime 3 version just outdoes it by being the spitting image of her old-school Super Metroid design. I'm totally getting this one when it comes out. 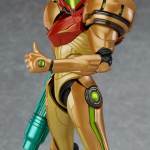 i believe the thumb-up hand is also gsc online shop exclusive. Remember though, the US releases have been the web shop versions in Japan. Oh my allah i cannot wait to buy this. 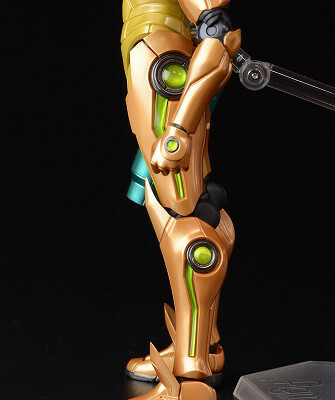 This figure looks fantastic. Love the clear green parts. 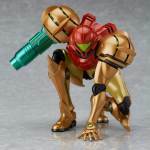 I'm not a huge Metroid fan, simply because I lacked Nintendo consoles in the past, but I plan to catch up on Metroid Prime and would love to add this figure to my collection while it's still available. 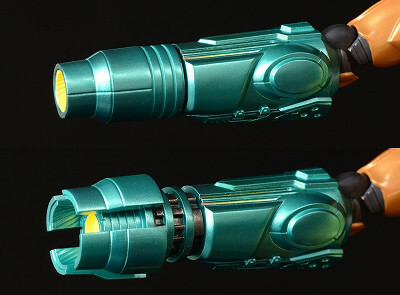 Also: The guys who did the product shots deserve a raise, they did some fantastic work here. Good Smile Company. It's the guys behind figma and Nendoroid and stuff. They have an only shop where they sell these stupid kinds of exclusives which are the same as the retail ones but with extra accessories, I hate that. It was really terrible with the ALBW Link where all his cool weapons were only sold with the exclusive version. 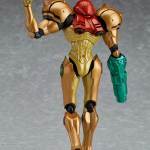 That being said, reading up on this Samus Aran figure through multiple Japanese outlets no one mentions that the thumbs-up hand is exclusive. 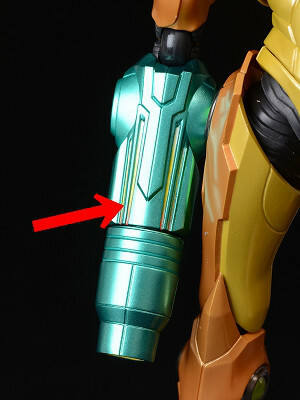 Updated news post with official details from Good Smile Company. 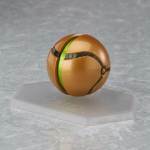 Did they really need to give us the morph ball form again over a missile? 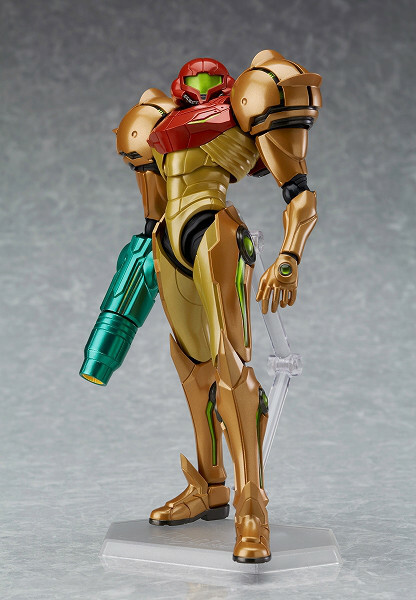 I wish there was a way to switch the unmasked head from the Zero Suit Samus figure onto this one. WOw, $80 is a bit pricey for not having any effects. 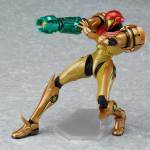 I wonder if her arm cannon is compatible with the blast effects from the Other M figure? Pfft, skip the newer 3D games and go with the old-school 2D stuff like Super Metroid, Zero Mission, Fusion, and the fan-remake of Metroid 2. Those are the real deal. You're okay in my book, then.